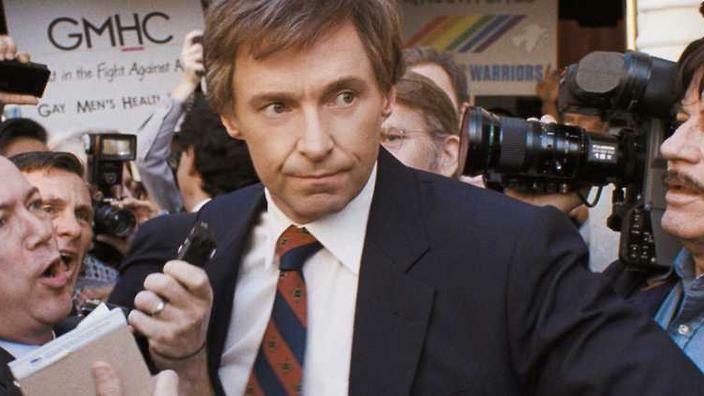 In the spotlight: Hugh Jackman plays besieged politician Gary Hart in ‘The Front Runner’. During his thunderously popular campaign for the White House, Hart – played splendidly by Hugh Jackman – resents the grubby reporting of journalists about his alleged extramarital conduct. A jokey invitation to them to follow him around because they’ll find it “boring” is taken as license to do just that.